Top Secret security agency KGB has always managed to spark people’s imaginations, and not without reason. 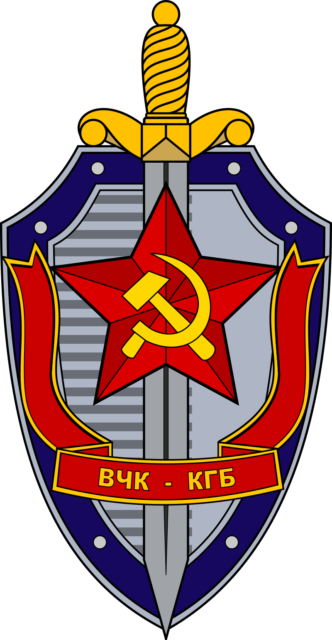 Formed on March 13, 1954, Komitet Gosudarstvennoy Bezopasnosti was the main Top Secret security agency for the Soviet Union. 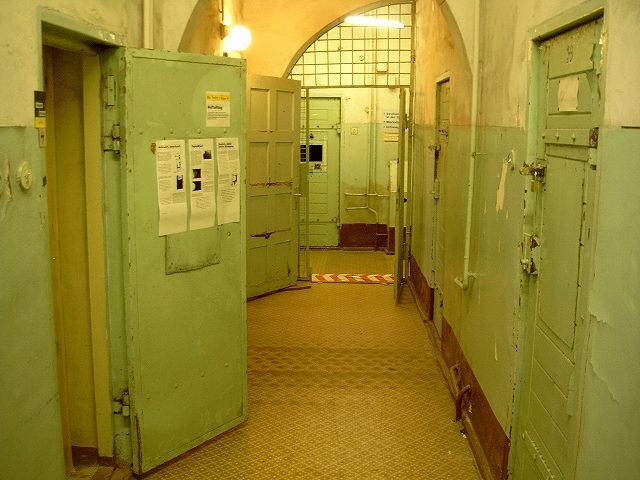 Active throughout the world, KGB’s agents remained truly loyal to their motto “Loyalty to the party – Loyalty to the motherland.” The KGB Prison – located in Germany in Potsdam, the capital of Brandenburg – offers insights into some of their operations. The building was originally erected in 1916. It was not built to serve as a prison but for something completely different: as the head office of the Evangelical Women’s Relief Society. Erected by the Evangelical Church Relief Association, this building was, in fact, a stunningly beautiful villa. The focus of the society was charitable and voluntary work, and the site served as a place where women could come and learn a new skill, such as how to properly care for an elderly or a sick person, in a setting where the Bible was highly cherished and taught. For decades, the place continued to serve this function. However, things changed as the Second World War came to an end. 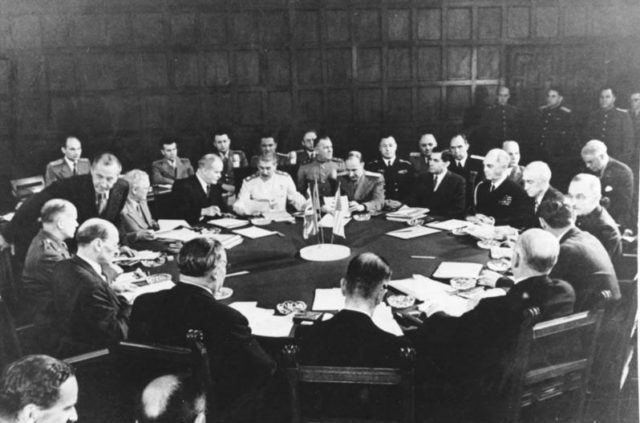 The Potsdam Conference took place between July 17 and August 2, 1945, and involved three major world forces, – the Soviet Union, the United Kingdom, and the United States –discussing postwar order and peace. After the conference, 100 houses were cordoned off and were given to the military. One of these houses was the Evangelical Church Relief Association’s villa. KGB decided to make the villa their headquarters and dubbed the area including the houses “Military Town No. 7.” In no time, the former home of the Evangelical Church Relief Association became a counterintelligence detention center. As the summer of 1945 drew to an end, the prison saw its first inmates. These were people found guilty of insubordination, espionage, or pretty much anything else that KGB found threatening. Once inside, the prisoners were at the mercy of their host, which was anything but benevolent. Some of the prisoners were mere boys, the youngest of which was 12 years old. 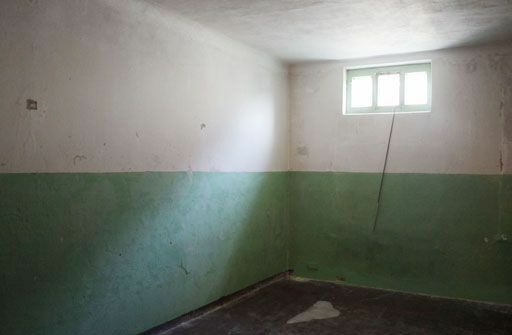 The inmates were treated with disrespect and suffered from hunger and malnourishment. They were kept in conditions not suitable for a dog, let alone a human being: in cold and isolated cells with poor hygiene levels. 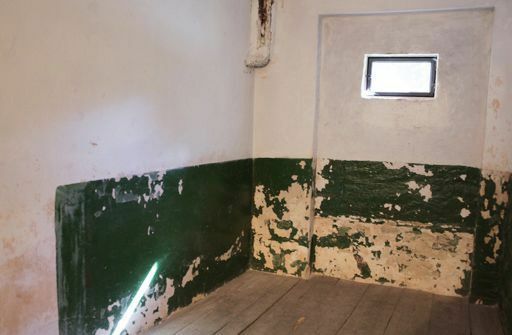 According to researchers, the prisoners were often tortured and were brutally forced to confess. It was from here that many prisoners were transferred to the Gulag forced-labor camps where even harsher conditions awaited. 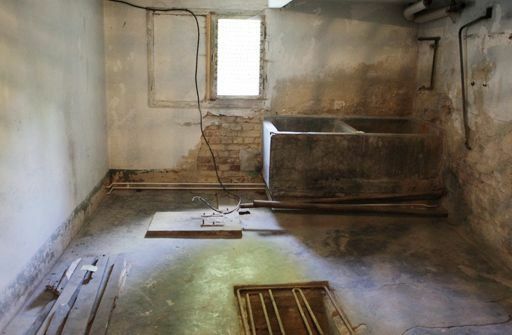 For years, this was the way the prison functioned. In 1991, the counterintelligence service decided to move out of the site. 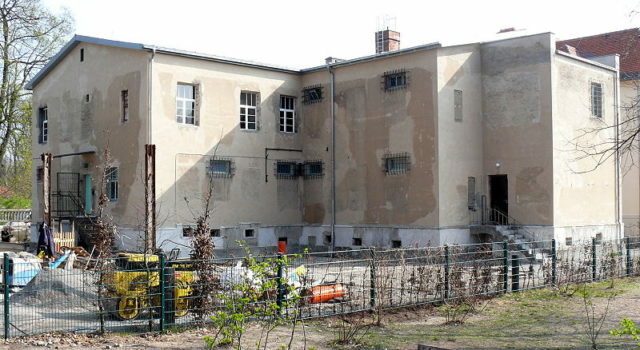 The Russian Army remained and kept using the facility as a storehouse where they kept documents. There years later, the whole military camp was shut down and the area was returned to the municipality of Potsdam. The Evangelical Ecclesiastical Benevolent Society got back their house, only it wasn’t a villa anymore; it was a far cry from what it once was. The world then found out what really went on inside these walls. 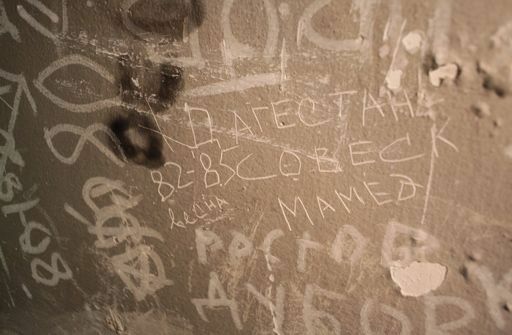 The interiors of the cells were filled with messages left behind by their former occupants. “Farewell, my family, wait for me and I shall come” reads one of these scribblings. 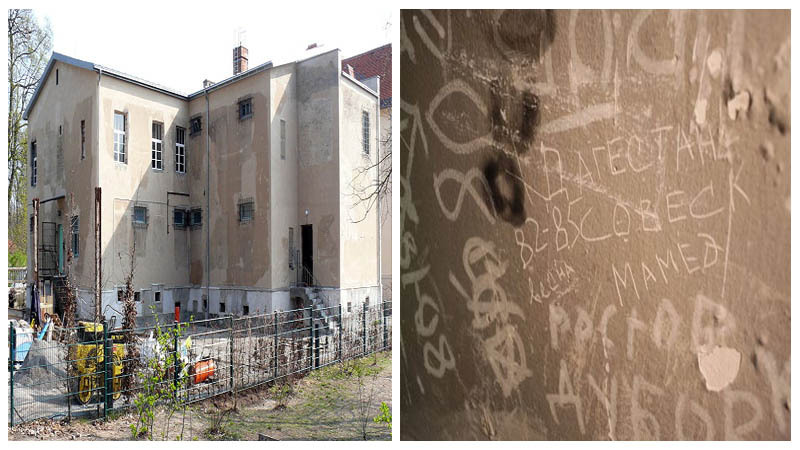 The guards were against such practices and repeatedly covered the messages, which consisted of names and addresses and in some cases whole letters to their loved ones, with fresh paint. Despite these efforts, a great number of them still endure to this day. Today, the building has been fully renovated and is opened to the public. It serves as both a museum and as a memorial complex dedicated to all those who were once part of the prison.